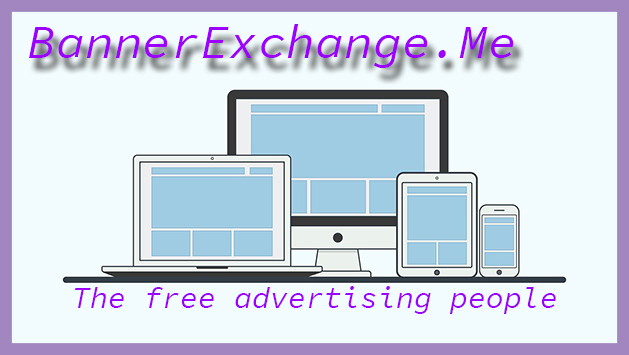 So start bringing users to your site today with our free banner exchange! Sign up now and start driving people to your site instantly. 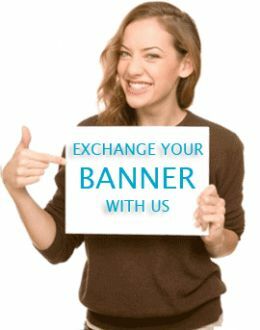 The bannerexchange.meis a 2: 1 banner exchange, earning you 0.5credits for every 1banner(s) displayed on your site through our easy to add HTML code. Your accumulated credits are then "spent" by displaying your banner on other sites - for every whole credit you earn, your banner is displayed on another members site earning you traffic for FREE! How can i earn banner credits faster? Simple tell your friends we give 1000 credits for every active referral! Always remember when you refer a new menber your now just earning credits, your adding more websites to display your ad on so we always try to encourage users to share our site to facebook, twitter and all the other social etworks you can think of! Rememeber you can also put the referal link on your website or even in your forum posts, remember as our network grows we all win! Do you have any other SEO tools i can use? You can increase the one way links to your website by placing links in our web directories. Addesigner - Its not one we own but its great for making banners quick with no money, so we recommend it! You can also drive visitory to your website using our autosurf Site. Autosurf-uk.- can be used to drive visitors to your site, obtain facebook, likes, twitter followers, youtube subscribers and more. More than that Autosurf-uk has free search engine submission, meta generator tools and sitemap generators.